International Shipping Services offers a number of shipment options for the international relocation of machinery and equipment. Each shipment method is customized to the individual needs of each customer depending on the size and weight of machinery and destination. One of our international machinery and equipment shipping specialists will discuss your options and prices with you. 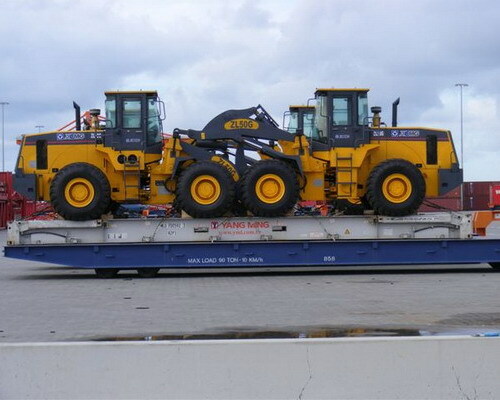 Shipping heavy machinery and construction equipment overseas from the USA by container and RoRo. Step 1: The customer can either deliver his machine with all of the necessary documents to the port/warehouse or ask us to pick it up. Step 2: Int'l Shipping's crew loads and secures the machine into an ocean shipping container / flat-rack or the port workers will load it directly onto the vessel with Ro/Ro transport. 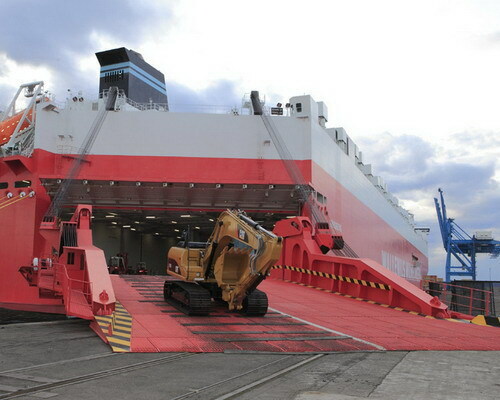 Step 3: The machinery is then transported to the port of departure, cleared with Customs and loaded onto the shipping vessel. Step 4: Once the machine has reached its destination, it will be taken off the vessel where the port agent will see it through Customs and either deliver it to the new residence or have the client pick it up directly from the port/warehouse. Had a previous bad experience with another transport company, so I was concerned when it came to transport another piece of heavy equipment from Ritchie Bros Auction. Found ISS online and getting a quote was extremely easy. The communication was excellent all around. The pick up and delivery was very quick as well. We will continue to use them in the future. From my first quote from ISS I was contacted immediately when I decided to have my dump truck transported to Panama. After I read all the positive reviews I wanted to give them a try. The cost was competitive with other vendors I researched but the reviews of ISS lived up to its name. Looking for a great transportation company? You won't be disappointed with ISS. I've never used a transport company before, so I didn't know what to expect. I needed to bring a used bulldozer that I bought in USA to my country Namibia. I picked ISS because of low cost and high star ratings. Professional service beginning with the initial phone call, and remaining to the actual delivery; working closely with both the seller and myself to arrange ideal transport options.